Belt Blancher machinery can be used for industrial blanching of different types of vegetables, such as potatoes or carrots. Either steam or hot water is used for the blanching process. 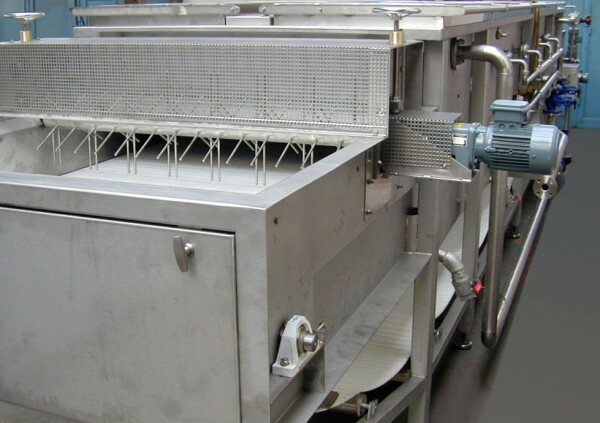 The Blancher is divided into three zones: warm up, blanching and cooling. The residence time for the product in the blancher zone is adjustable. The steam is distributed evenly by means of nozzle strips in the machinery. All machine components exposed to the moisture are made of stainless steel. Our Belt Blanchers are characterized by a strong design for continuous operation and with easy access for cleaning and maintenance.